Situated very near to vandalur railway station and GST Road... opposite to cresent college... very close to SEZ's... few meters away from Sangeetha Restaurant.... totaly 6 blocks in 12 grounds... totaly 60 flats.... with covered car parking and 24hrs security... approved land land with clear title... 100% vaasthu compliant with artistically Designed Homes price RS 3000/- per sq.ft. Gives a good living atmosphere to spend a happy time. 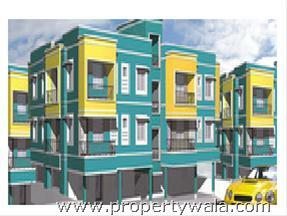 It consists of all the basic amenities which is required for the basic living. Vip Jeeva Enclave Chennai is rated 9 out of 10 based on 1 user reviews. Have a good knowledge of VIP Jeeva Enclave? Share it and become a Project expert.